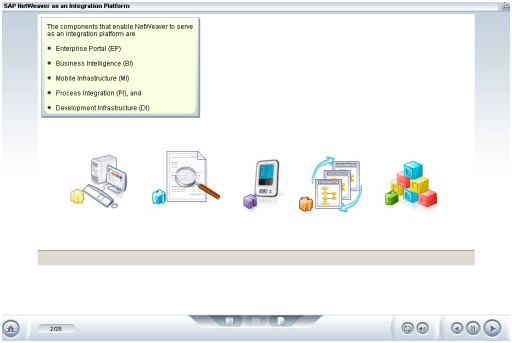 SAP NetWeaver is an integration and application platform that aligns and integrates people, information, and business processes spread across different technological platforms. This course introduces SAP NetWeaver architecture components and tools and discusses how they serve and function as an integration or application platform for SAP solutions. 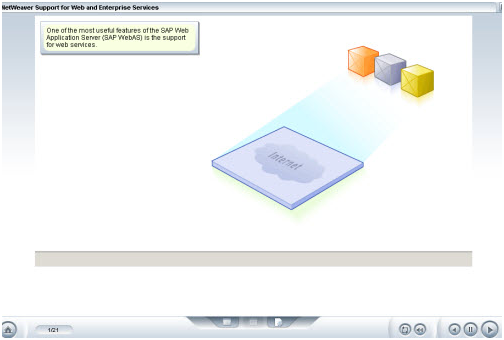 NetWeaver's support of open standards to implement web services and enterprise services in SAP is also discussed.